» CS:GO and Battlefield4 Montage! » Like highstandard montages? Check this out! Ok, so long story short, Lolvo is helping me get the money on my PayPal, and I'm changing the domain to montageforums.com! Please tell your friends. This change will happen in the next week or two. Thanks for everyone's support so far. Just one I made really quick for our forum! I made a header for the site cause I'm pretty bored and no one is on ATM, so here it is, if you want to use it, just let me know. I maedz them, they're in mai sig. 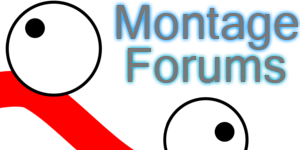 Hello everybody, we are currently working on getting our URL to be original (montageforums.com). It cost's $20 so if you could donate it would help a lot! Remember any amount helps! Please click here if you would like to donate. Thank you! I know the site isn't completely ready yet, but I do think we should start attracting people to the site. I just sent a message to some YouTube and xbox friends, so hopefully we should be getting some new members soon. Please tell your friends about the site, and our forums should start filling up with posts. Since our forum is still in it's early stages, you may notices frequent site changes. We've still got some kinks to work out, but we should settle down soon. I'm planning on taking the .formotion out of the address by Christmas. This will cost $20, and if you'd like to speed this process up, please consider donating by hitting the contribution button at the bottom of the page.